(Natural News) The gene editing technology known as CRISPR-Cas9 has been a subject of controversy ever since it was developed. CRISPR -Cas9 gives scientists the ability to conduct genome editing with a quickness and ease never seen before. Regardless of the inherent concerns that come along with gene editing, this technology has undoubtedly changed the world of basic and applied biology indefinitely. CRISPR-Cas9 technology is actually comprised of two parts. CRISPR stands for “clustered regularly interspaced short palindromic repeats.” You see, DNA is made up of short blocks of repeating base pairs that are set apart by “spacer DNA.” Through the action of bacteria copying and inserting the viral DNA sequence into the CRISPR region, two strands of RNA can be produced. After that, the RNA then associates with an enzyme known as Cas9, which is described as acting like a “pair of guided scissors.” Cas9 hones in on the targeted viral DNA and cuts it away. 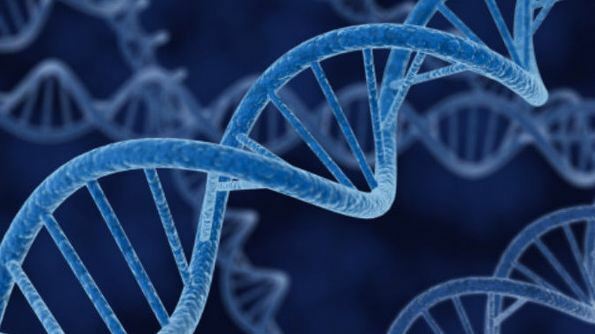 Then, the DNA is repaired by the cell and the deleted piece of DNA is replaced with a substitute portion of DNA, which is supplied by the scientists. The concerns about unintended DNA alterations primarily lie at the feet of the Cas9 portion of the technology. Sometimes, it cuts the wrong portion of the DNA. It also has a tendency to remain present and active for too long, resulting in the potential for it to make more, unintended cuts to the DNA. It takes just about 24 hours for just half of the Cas9 enzyme to be degraded by cell, which means it has plenty of time to make off-target alterations. Study author Joseph Bondy-Denomy, a microbiologist from the University of California at San Francisco, claims that an “off switch” would make the Cas9 tech quite a bit safer. Based on the logic that in order to replicate, viruses often insert their own DNA into the bacteria’s genome, commandeering the cell’s genetic equipment to copy viral DNA, it would seem that viruses must also possess a way to reverse the process and deactivate CRISPR/Cas9. Otherwise, it is possible that the bacteria might identify the viral DNA in its own genome, which would invariably lead to self-destruction. Although the team was able to identify four potential “anti-CRISPR” proteins, only two seem to have worked in initial petri dish testing. And while these proteins seem to deactivate the CRISPR-Cas9 process, the scientists have not yet actually proved that this new find will prevent off-target gene editing. The research team has no idea if the proteins will actually prevent unintended DNA snipping and editing, nor do they know how long the proteins will linger in the cells or what kind of effects they may also produce. 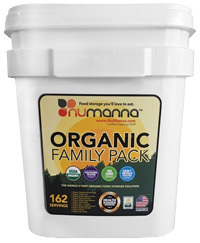 The industry's only clean, lab tested and certified organic instant meals. Will President Trump dismantle dangerous vaccine mandates that harm children across America?